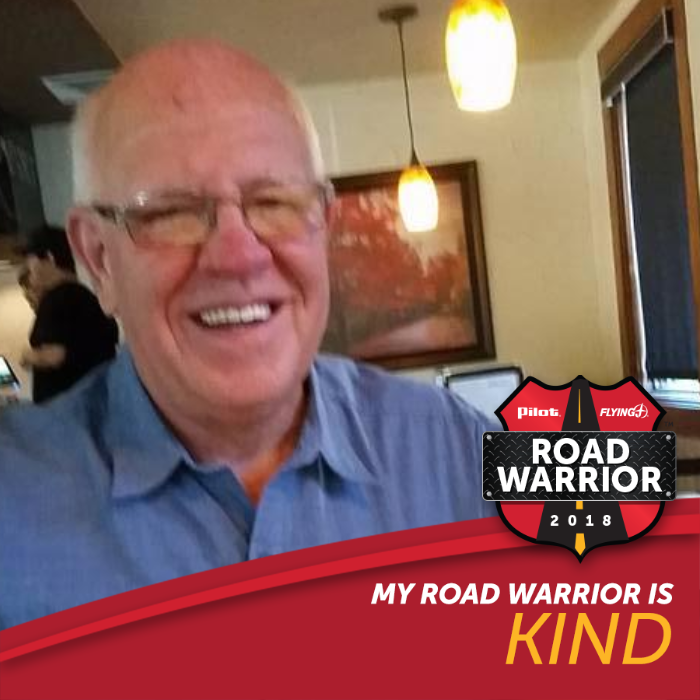 Pilot Flying J celebrated the unsung heroes of our nation’s roadways – the professional drivers that keep our country moving – with the fifth annual Road Warrior contest. Read more details on past winners here. When her parents passed away over 30 years ago, Victoria made it her mission to turn her job at UPS into a career so that she could provide for her eight siblings. She began working at UPS as a part-time car washer to help support her family and pay for her college education. She graduated with her degree and remained with UPS, working her way up to be the first female in South Texas to become a feeder driver for UPS. Her family is proud of her for being "a fierce woman and an outstanding employee for UPS," and recognizes Victoria as a hardworking, caring, giving, loyal and strong individual. 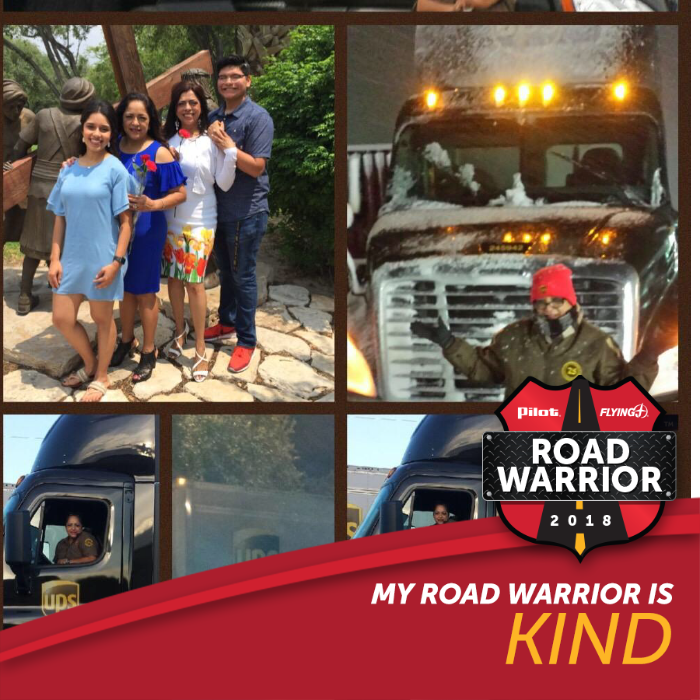 Nominated by her family, Victoria is a true Road Warrior both on the road and at home. "With her heart of gold, there are no limits with what she is capable of doing to bring joy, a piece of mind and love to anyone who crosses her path." Bob has been a professional driver for over 47 years. He is involved in numerous trucking charities and even helped found "Truckers United for Charities." He also volunteers his time serving on mission trips. 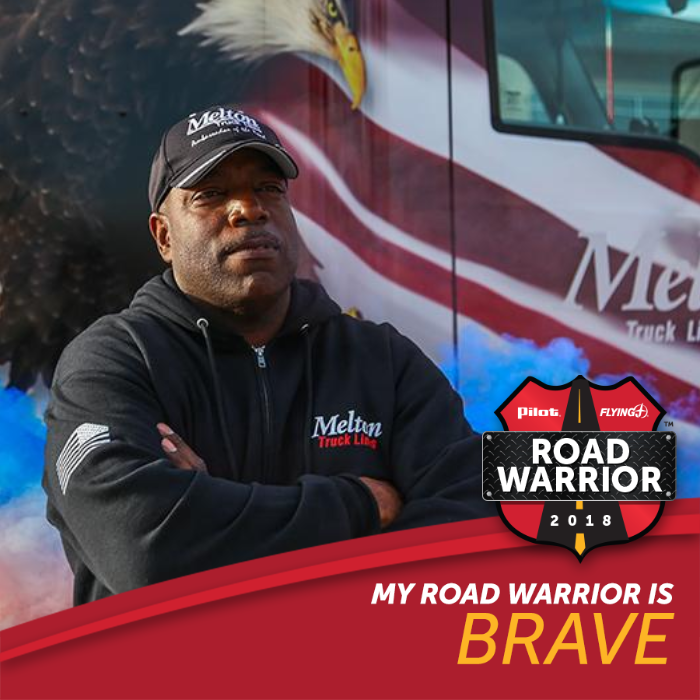 After achieving over 1 million miles with Melton Truck Lines, James became an Ambassador of the Road for Melton and serves as a mentor to other drivers. James is a veteran and volunteers to drive his wrapped veteran truck in the Tulsa Veterans Day Parade each year. He also makes an annual trip to St. Jude Children's Hospital to volunteer and spend Survivors Day with his daughter.